The sun was rising, the air was cool, and the quiet streets of Puerto Madero were dotted with kissing couples clinging to the night. My friend and I stumbled, exhausted and tipsy, along the peatonal, singing pop songs in Spanish and doubling over with laughter remembering the strange and utrageous moments of the night before. It had been another all night marathon of dancing, drinking, partying nd socializing; it was six in the morning and we were finally heading home. Buenos Aires has a reputation as a party city, and only the truly eclusive would argue otherwise. If you are going to even bother going out, you best be prepared for the Buenos Aires nightlife. Bars don’t get going till 12 or 1 and clubs don’t even open their doors till 2, which is fine since most Argentineans don’t eat dinner till around 11 anyways. Everything is pushed back a few hours, and then elongated into the morning. So wear comfortable shoes, try to squeeze in a late afternoon nap, chug a Redbull and get amped for what is sure to be a memorable night on the town. In this huge and cosmopolitan city there is something for everyone and on almost every night of the week you can find the young and the hip of Buenos Aires partying in one venue or another, (Monday nights are by far the slowest, so unless you have a private party to go to I suggest you use this as a night to catch up on your sleep). There are bars and clubs of all sizes, styles and music. For the purpose of this short article, which couldn’t hold all the clubs in Buenos Aires for the life of it, I will identify what are, at this moment, some of the cities most popular nightclubs. 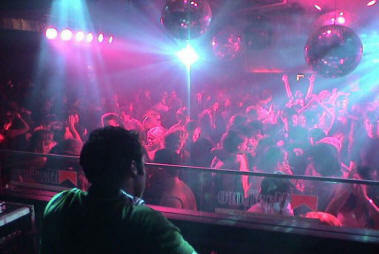 For large scale base thumping and booty shaking fun, Buenos Aires has several ginormous and trendy clubs. The most notable of these is Opera Bay, located in Puerto Madero, this club, known for its architecture which resembles the Sydney Opera House, is an expansive all night dance fest. A truly exceptional building, set on the edge of the Puerto Madero river, this place is party central on Wednesdays, Fridays and Saturdays. Several rooms with different Djs and all styles of music keep people dancing till early in the morning, including large outdoor decks good for rocking out in the warm summer nights. 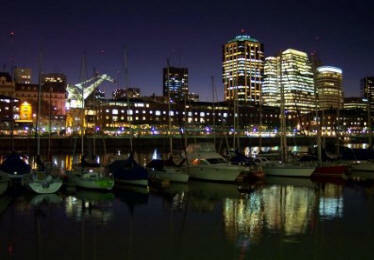 Also in Puerto Madero is the famous Asia de Cuba. Part of the international chain, this club caters to the beautiful twenty-somethings of Buenos Aires and provides them with a stylish place to see and be seen. Palermo is the capital of BA nightlife and the edge of it is home to several large clubs such as Mint, a popular spot on Friday nights although the crowd is a bit younger. If you are searching for Salsa and Latin music check out Azucar on Saturdays or Sunset. All the big clubs will be spinning electronic music on at least one of their dance floors, and most will have a smaller room for Hip-Hop and R&B, or 80s hit and rock music. For a smaller scale party Buenos Aires is chock-full of bars and watering holes. 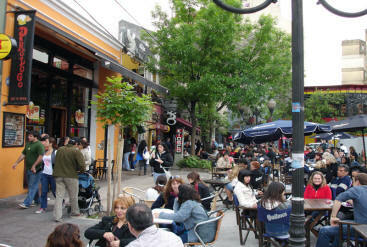 Palermo Soho is where the trendsetters go and is the sight of Plaza Serrano, the epicenter of Palermo bars and nightlife. Belgrano and Las Canitas, beyond Palermo also cater to a young and hip crowd, check out Jackie O for loud music and pricey cocktails. The Shamrock in Bario Norte, is a wannabe Irish pub with happy hour till midnight and a more laid back crowd. Gibraltar in San Telmo is packed on the weekends and feels like a college bar stateside with a young and international clientele. If you are looking for a more alternative scene check out Bahrain on Tuesdays, where pounding drum n’ base accompany the heavily pierced and tattooed youth. Or another of BAs big nightclubs, Niceto, also in Palermo, hosts club 69 on Thursdays, where transvestites mingle with break-dancers and everyone gets crazy till the sun comes up. Wednesdays is after hours night, meaning that clubs and bars open early and are jumping by 9 pm with young business men and women looking to relax mid week with some friends and a cocktail. Museum, in San Telmo, is known for its Wednesday night parties (although they are on hold over the summer) and well-dressed workers come and socialize in the three-story club designed by one Mr. Eiffel, as in the tower. Come early if you want to find a seat and sport your finest threads as this tends to be the strictest night for dress codes. This is merely a sampling of suggested and popular spots in Buenos Aires. Depending on where you are staying and what your budget is, you can find a plethora of options to suit your desires. Live music is available in some of the smaller clubs, but beware places advertising live Cumbia music, as they tend to draw a rougher crowd and tourists are easy targets. You could spend months going out in Buenos Aires and only cover a fraction of the bars and clubs, not to mention spend all your money and ruin a chunk of your liver. So choose wisely, take the advice of friends and locals, and by all means don’t even bother going out before midnight.